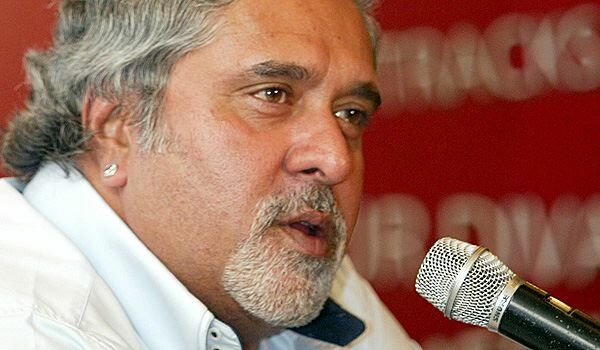 Vijay Mallya, Chairman & Managing Director, Kingfisher Airlines Ltd.
Kingfisher Airlines has disclosed on Thursday, 12th April 2012, that it has allotted 3.56 crore more shares in the company, due to conversion of Optionally Convertible Debentures (OCD). In its disclosure made in National Stock Exchange on Thursday, the company also disclosed that 85% of this conversion and allotment of new shares is in favour of Star Investment Pvt Ltd, which was earlier disclosed by the company as a Person Acting in Concert (PAC) with the promoter for the purpose of subscribing to the OCD Issue. StockExplain had earlier reported that two of promoter’s PACs - Star Investments and Redect Consultancy - were recently continually selling Kingfisher Airlines shares in the open market. On identified sells on 29th March, 3rd April, and 9th April, these promoter's PACs had sold off a total of 201 lakh shares amounting to 3.48% of the pre-diluted equity. The sells happened at relatively low levels of Rs. 16.56, Rs. 16.63, and Rs. 17.66 respectively. Despite their selling, the stock had rallied significantly, and there is a fair chance that these PACs would now sell more to take advantage of the better current prices. Thursday’s allotment of new shares is not against any current payments, but subscriptions to the OCD Issue that happened more than 18 months back. The conversion, as per Thursday’s disclosure, has happened on or after Tuesday, April 10th, and the conversion price is fixed at Rs. 23.63 per share, based on the relevant date of March 11th 2012. With Thursday’s allotment, the equity base of Kingfisher Airlines stands expanded to 61.33 crore shares of face value Rs. 10 each from the earlier base of 57.76 crore shares of Rs. 10, which is a dilution of 6.17%. Of this, 85% or 5.25% in absolute terms were allotted to promoter’s PACs, with the rest in favour of an individual OCD subscriber by name of Amar Nath Jhunjhunwala. Kingfisher Airlines stock traded high initially, going as far as 5.79% up, but is now trading down at Rs. 19.45 in BSE, down by 2.02%.